At Vulture, Jerry Saltz reports that while 60 Minutes journalist Morley Safer, who died last week at 84, may have hated contemporary art, he liked to paint. Safer sent Saltz a bundle of original paintings hoping Saltz would write about them. “I didn’t hate them,” writes Saltz. “What I saw had a certain earnest pathos, someone being an artist in a mid-20th-century Sunday-painter way. The work seemed influenced mainly by a very conservative idea about plain modernistic surfaces, depiction, and color. Safer was a careful drawer, and his colors stayed within lines. His subjects were ordinary landscape, portraits, churches, tourist sites, and the like.” Read more. Alex Teplitzky published the final posts of his three-part Creative Capital blog essay about art blogging. “As the open application of the Arts Writers Grant Program, draws to a close, we asked past awardees in the blog category to offer their perspectives running their own blogs. I have been talking to Daniel Temkin, Kate Albers, Sharon Butler and Gelare Khoshgozaran & Eunsong Kim about what they think of the future of arts blogging.” Take a look. Interesting insights about art and blogging. Click here. 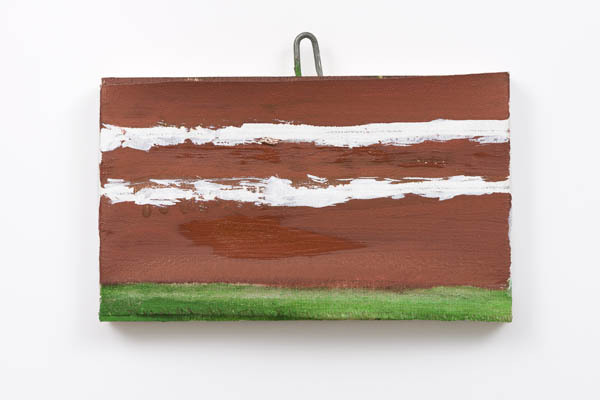 In The Brooklyn Rail this month: Stephen Truax compares Raoul De Keyser with Morandi in a thoughtful review of De Keyser’s excellent show at Zwirner. 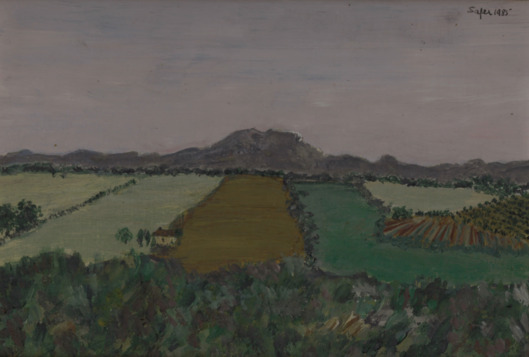 “Morandi and De Keyser,” Truax observes, “shared a steadfast dedication to their idiosyncratic and lifelong projects: making modestly scaled paintings of limited, almost ascetic means. Their light touch and straightforward brushwork is similar. The background and negative space between the objects is just as important as the objects themselves. Through exhaustive repetition, they both empty out their work of whimsy. They forge new ideas through making and remaking. Most of the action occurs off the final canvas; the real work is in what was scraped away rather than what is presented.” Read more. 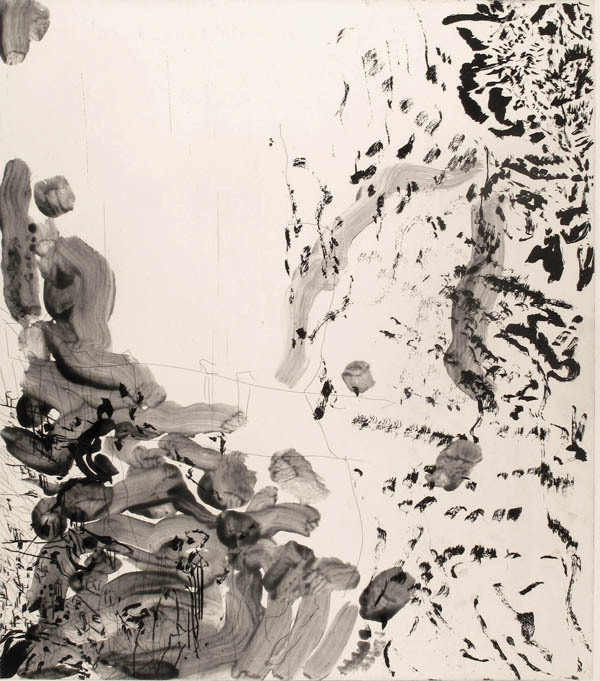 Also at The Rail, David Rhodes writes about positively Per Kirkeby’s show at Niels Borch Jensen, Berlin: “Two years after a stroke resulting from a fall down stairs at home in 2013 Kirkeby declared an end to his career as a painter—though not as an artist working with printmaking. The injury had left him unable to see colors or orient himself in the large canvases that had been typical throughout his career, or to recognize faces, even his wife’s. He fought against the ‘defects to his vision,’ as he put it, and resumed work ‘as the artist he is now. '” Read more. Do paintings still have the power to shock and offend? Yes. Yes they do. 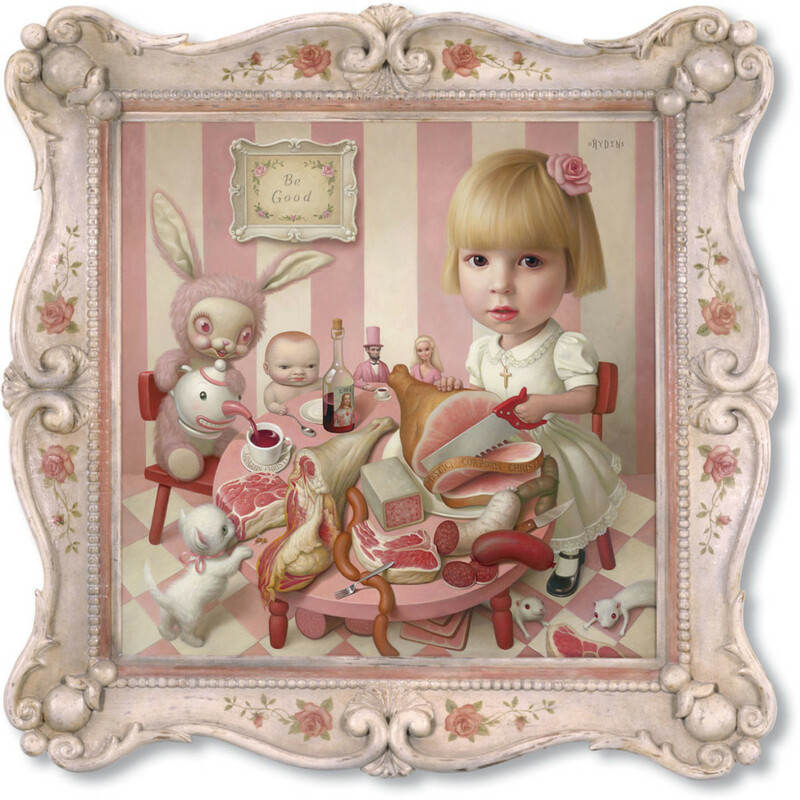 Ben Davis reports at artnet that the Catholic League is unhappy with what they perceive as “anti-Christian bigotry” in Mark Ryden’s paintings that are on view in Virginia Beach. “The outrage this time around is inspired by Rosie’s Tea Party, a 2003 painting by the self-professed ‘pop surrealist’ artist Mark Ryden, included in a show opening Saturday at the Museum of Contemporary Art in Virginia Beach. 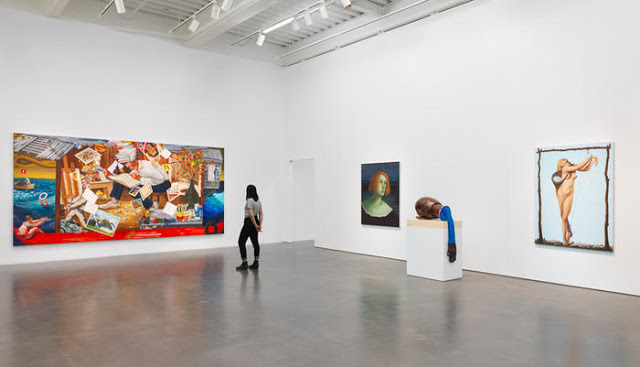 ‘Turn the Page: The First 10 Years of Hi-Fructose Magazine‘ surveys the work of 51 artists who appeared in the widely read San Francisco quarterly, dedicated to so-called ‘lowbrow’ art.” Read more. Enter the Frieze writing competition. “The annual award to discover and promote new art critics, is now open for submissions. Aspiring art critics are invited to submit one unpublished review of a recent contemporary art exhibition. The winner will be commissioned to write a review for Frieze and will be awarded GBP £2,000. This year, the prize will be judged by Paul Clinton, Olivia Laing and James Bridle (more details below). The closing date for entries is 18 July 2016.” Read more. Don’t forget to follow Two Coats of Paint on Instagram. Lots of good images from exhibitions, the inbox, events, blog posts, and more @twocoatsofpaint / Thx!